Join us for a day of golf while raising funds for our Elite Student Performer Scheme and affiliated sporting clubs. "Monash stands for inclusion and is committed to making sure that every student has the opportunity to achieve their true potential. The Chancellor’s Cup Golf Day is a wonderful opportunity for Monash alumni and friends to join the University in this endeavour. 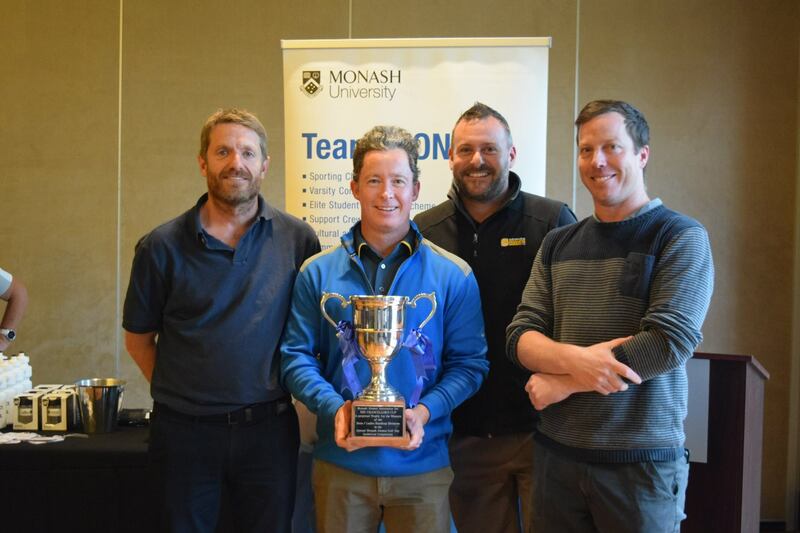 The goal of the Chancellor’s Cup Golf Day is to raise funds for the Elite Student Performer Scheme (ESPS) as well as Monash-affiliated sporting clubs. The ESPS is an invaluable initiative that provides support for talented Monash students aspiring to represent the University in sport, performing arts and related disciplines. Your support for Chancellor's Cup Golf Day will help ensure that cost is not a barrier for those students who drive Monash to excel, either through their participation in a club or society or by competing in high level intervarsity events. I hope you can take this opportunity to take part." Try you luck at our 6 novelty holes. Overall winners: Allan Sweeney, Charles Parnham, Jonathan Nelson, Shane Logan.